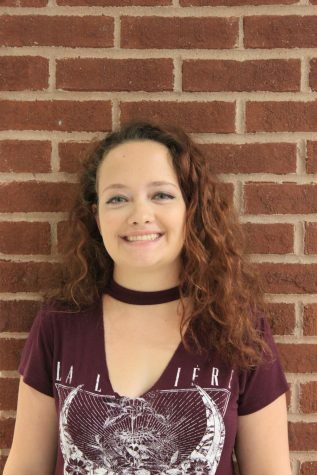 Lany Campbell, a North Forsyth Junior and Journalism veteran, is a nerdy girl who enjoys watching T.V., drawing on her free time, and listening to music. Along with all of this, her extracurricular activities include Fall/Winter Guard, Harp Lessons, and Tri-M Music Honors Society. As far as free time goes, it gradually degrades during the school year until there is little time to do anything other than schoolwork, guard/honors society-related activities, eat, shower, and sleep: in that order. She usually loves writing until writer's block decides to stay for a visit, then the battle to turn assignments in on time comes into play along with trying to convey her ideas in a way that makes sense. Lastly, her favorite section of the Raider Wire is Literature.